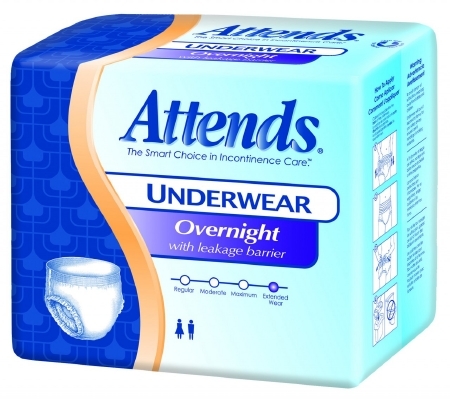 The Attends Discreet Underwear has additional super absorbent polymer and cellulous fibers giving it 50% more absorbency than the traditional protective underwear. The triple tier moisture locking system gives improvement in absorbency while promoting skin health and managing odor. 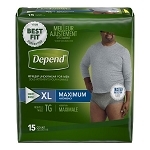 It features stretchable comfort fit belly and waistband elastics and tear away side seams for ease in changing. 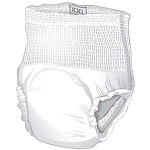 There are barrier leg cuffs for extra leakage protection.